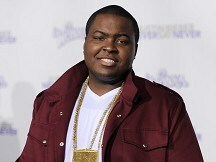 Sean Kingston is breathing on his own and walking in a Miami hospital after a boating accident. A spokesman for the singer said his condition has been upgraded to serious more than a week after the star crashed his watercraft into a bridge off Miami Beach. The spokesman revealed Sean walked on Monday morning for the first time since the May 29 accident, in which a female passenger was also injured. He also said the 21-year-old wanted to thank his friends, family and fans for their prayers and well wishes. Kingston rose to fame with his 2007 hit Beautiful Girls and was also featured on songs by artists including Justin Bieber.